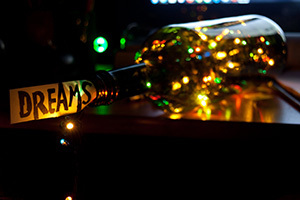 A New Year brings tons of opportunities for you to make and achieve resolutions. Whether you’re improving your diet, finances, weight, health, or lifestyle, make this year your year. A big part of ensuring that you’re ready to meet the New Year head-on is to plan properly. Planning can help safeguard against challenges. Think about it. For weight loss, you plan your meals and exercise routine. For finances, you plan out your budget. Planning is a key part of meeting your goals. Estate planning is no different. Throughout the year, you should not only think ahead in terms of your lifestyle; you should also be prepared to meet financial challenges you may come across. Here are some key life events or changes and what you may want to do to plan for them. Is a new family member joining you? Perhaps a relative is expecting a baby or someone in your family is getting married. If that is the case, you should adjust your estate plan to reflect these new changes. For example, if you have grandchildren (or are expecting some) and you want them to receive some of your estate, consider setting up a trust that will grant them the assets once they are of age. A trust will let them receive the asset immediately upon the date of your choosing, as it goes into effect right away. This will allow them to avoid probate court, too. Maybe you don’t have a new family member, but you did get some new assets. Perhaps you’re buying a boat, new stocks, another home, etc. in 2019. You will want to think about what will happen to that asset after you pass away. While that’s not exactly a positive thing to consider, it’s important to ensure that the asset, if you own it, goes into the right hands. Again, as stated in the previous section, you could set up a trust. Or, you could set up a different type of transfer. Either way, put these new assets into your estate plan to guard them against probate court. If your kids or grandkids are considering college, you might want to take a look at a 529 plan. This is a tax savings plan that the IRS offers. Another name for the 529 plan is a “qualified tuition plan.” The IRS offers a 529 plan to encourage people to save up for college. You can choose from either a prepaid tuition plan or a college savings plan. Prepaid tuition plans let the plan holder purchase credits from their chosen educational institution, while savings plans act as investment accounts for someone saving up to attend college. Each comes with their own tax advantages, benefits, and disadvantages. If someone in your family is attending college and you want to help them out, consider taking a look at your state’s 529 plan. People get sick. Unfortunately, it happens, and the best way to deal with it is to meet the challenge head on. To prepare for this unpleasant surprise, you should complete a healthcare directive and name your power of attorney. A healthcare directive details your instructions to the hospital or doctor taking care of you. The directive gives these instructions if you are too incapacitated to deliver them yourself. A power of attorney also lets a trusted individual (who you select) control your finances and make financial decisions on your behalf. Both of these financial tools give you autonomy in your decision-making, even when you are sick. Another reason to take a close look at the sufficiency of your estate plan is the inevitable fact that people age. You will want to begin thinking about where you want your assets to go after you pass on. An effective estate plan will allow your assets to pass to your family without the involvement of probate court. These are just some of the changes you might experience this new year. Right now, we’re only in the first few weeks of the year. There is still time to plan ahead and avoid any unpleasant surprises. When it comes to your other New Years’ resolutions, you will want to get a plan together for success. Your finances are no exception. Hopefully, your New Year is off to a good start! There’s no telling what 2019 will bring, and that’s both exciting and maybe even a little scary. 2019 will probably come with some surprises, and these surprises can be pleasant or less-than. One way that you can deal with challenges successfully is to plan in advance for them. Formulating concrete plans for less-than-pleasant surprises will help take the edge off them if they happen. People get sick, and people pass away. These types of things are out of our control. In order to at least make these events more manageable, you should plan ahead. Handling these events is not out of your hands, even if the occurrence itself is. Here are some “worst case scenario” surprises that 2019 might (but hopefully will not) bring and how to deal with them. Sickness can be serious. You also may have some predesignated notions about how you want doctors and nurses to care for you when you are sick. Just because you are incapacitated does not mean that your wishes will be ignored. By setting up a healthcare directive, you ensure that your care preferences are honored. A healthcare directive is a document that details any directions you may have for doctors. A classic example of this is a “DNR” (Do Not Resuscitate) instruction. These are the types of closely-held decisions you want upheld even if you cannot communicate them verbally. A healthcare directive lets you do this. Another important decision-making area is finances. Your finances enter perilous territory when you are sick. Before this happens, you should nominate a power of attorney to take care of your finances. This POA is someone you trust. You know he or she will make the best decisions for you. You can give him or her instructions while you are healthy that will give them guidance about what to do in the event you become incapacitated. Your finances do not have to suffer just because your health is in a bad situation. Nominating a POA gives you control over your money. Death is also inevitable. Depressing as that may sound, it is, sadly, true. Death also definitely qualifies as an unpleasant surprise. If you die, do you know where your assets and property will go? The answer “the courts will decide” is not going to work. Probate court will divide your estate and pay off your creditors first. Then, your family will get whatever is left. By setting up an estate plan with tools such as living trusts, you can ensure that your assets will go to the people you select. You avoid saddling others with the burden of probate court when you structure your estate plan properly. If you have children and something happens to you, you will obviously want someone responsible to take care of them. Setting up guardianship in your estate plan allows you to appoint the guardian. This way, you will have peace of mind that your kids will be taken care of if something happens. If you do not have guardianship set up, the court will appoint a guardian, and it might not be a person you would choose. Make sure to ask your chosen guardian if they agree with your decision before setting the guardianship up. Lastly, divorce is very common. More than half of marriages end in divorce. If you are undergoing this unpleasant process, you know that jointly-owned property is often very difficult to unravel. Deciding who owns what is not easy, especially if the divorce is acrimonious. When working on your estate plan, you will need to adjust for the divorce. If you left something to your ex-wife in the event of your death, you might want to change that. An estate planner can help you with this. The whole divorce process almost always affects estate plans, so it is best to face these changes head-on. This article is somewhat of a bummer, but it is important to prepare for any unpleasant surprises that 2019 might bring. While you shouldn’t be pessimistic, optimism does not mean lack of preparation. Guarding your finances and protecting dependents is essential to a well-rounded estate plan. 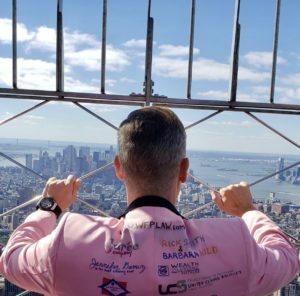 Posted by Michael on Dec 17, 2018 in Legal News | Comments Off on New Year’s Resolutions: You Got This! Most Americans usually set some type of New Year’s resolution, whether it’s to eat healthier, exercise more, quit a bad habit, or achieve another worthy goal. It’s definitely not easy to meet your resolutions. If bad habits were easy to break or good habits easy to start, they wouldn’t require a New Year’s pact. But don’t worry! You’ve got this. This New Year’s, commit to writing down your goals and, most importantly, getting back up if you fail. If you accidentally “fall off the wagon,” you can pick up and try again the next day. Every day is a new day. If you’re in the market for less conventional New Year’s resolutions, you should consider either updating or starting your estate plan. This is a goal that you don’t have to do by yourself—a qualified estate planner can help make it very easy. Not only that, but it’s also an easy-to-fulfill goal, as the process is not arduous at all. Listed below are some reasons that “Estate Plan” should make the list of your New Year’s resolutions. Estate planning is way to ensure that your personal property and possessions go into the hands of those you want to see have them. If you die without any plan, it will be left to a court to do this for you. For your own security, you should plan what you want to have happen to your estate. But that’s not all that an estate plan is useful for; you can also make arrangements for when you’re sick or incapacitated. “What if?” thinking is a form of thinking that, usually you don’t want to engage in too often. It involves thinking of the worst-case scenario and extrapolating from that. Before a big job interview or your wedding, you don’t want to find yourself preparing for the worst. But when it comes to your estate, that’s a different story. Putting in place a power of attorney or a healthcare directive for when things go wrong is a good safety plan. If you are so sick or incapacitated that you cannot make decisions for yourself, you want to have a plan for your medical care and financial decisions laid out so that there’s no question as to what you want from your doctor. With estate planning, thinking of the worst-case scenario can benefit you in the long run. Having a plan in place works best for your family. That way, they’re able to know what you want to have done after you pass away without having to guess. When you set up the transfer of assets and assignment of debts yourself, you don’t risk having a court divide up your property unevenly or assign debts unfairly. Particularly if you have minor children, an estate plan that includes guardianship papers will keep your family safe. Estate planning is about more than just your own personal needs; it includes those of your family as well. If you’re young and have all the time in the world, you might just want to procrastinate estate planning. And that’s fair. Who wants to think about dying? However, the “worst case scenario” is one that happens all too suddenly. It’s better to be prepared than to have something go wrong and not have anything in place. Getting together an estate plan doesn’t mean that you’re expecting the worst to happen; it just means that you’re able to handle it if it does. Lastly, you don’t want probate court handling your estate for you. Probate court is the state-run mechanism that divides peoples’ assets when there is no estate plan. Probate court first pays off your creditors. Then, they divide up what’s left and give it to your family. This is not the optimal way that your estate should be divided. Having an estate plan prevents that from happening. 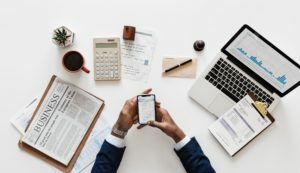 Listed above are just some of the reasons you will want to add “Estate Plan” to your list of 2019 to-dos. Estate planning is not difficult, and it is an excellent way to secure your future and your family’s future too. Posted by Michael on Dec 14, 2018 in Legal News | Comments Off on Tax Code Changes—Right After Christmas! It’s incredible to think that 2018 has gone by so quickly. There have been a lot of changes throughout the year, both on a national and local scale. There have been tragedies and triumphs and, overall, I think we can all agree that it’s been an interesting year. Another major change that you may not have been aware of was that of the tax code. Your tax returns this year likely weren’t affected too much by it, but that may change next year. The Tax Cuts and Jobs Act passed in December of 2017. The main goal of the Tax Cuts and Jobs Act was to simplify the tax filing process (as well as cut taxes and increase jobs, like the title says). Here are some of the biggest changes that will show you what to expect come 2019. A lot of people, prior to this new tax code law, usually selected itemized deductions as their preferred form of deduction. While that’s still an option, there have been some changes to the standard deduction that have made it look pretty good in comparison. The new code expanded the standard deduction. If you’re a single filer, the code expanded from $6,500 to $12,000. If you’re a joint filer, it expanded from $13,000 to $24,000. This expansion means that itemized deductions were limited, which made the standard deduction look like the better option in a lot of cases. Basically, the standard deduction has nearly doubled—that’s one of the biggest “headline” changes that came with this bill. Don’t freak out when you read that heading. The new law whisked away the personal exemption, but it gave an expanded standard deduction and a bigger child tax credit. With more people taking the standard deduction, this isn’t harmful. In fact, the IRS ran the numbers on who would be taking the standard deduction and found that it would be millions more than last year. The itemized deduction takers are projected to decline by thirty million. Getting rid of the personal exemption simplifies the process—one of the major goals the new law set out to accomplish. Because the standard deduction was expanded, certain itemized deductions were limited. One major limitation is the cap on state and local taxes. The second is a cap on your mortgage interest. Prior to the new law, SALT didn’t really have a limit. People could deduct all the SALT they wanted for either state individual or income tax. This has now been capped at $10,000. There were 42.3 million people who used the SALT deduction in 2017. In 2018, that number shrank to 16.6 million. The second limitation, for mortgage interest, was another cap. The cap has been lowered from $1 million to $750,000 in terms of what you can deduct from your mortgage debt. Your home equity debt has also been limited. Again, way less people (almost twenty million less) took this deduction as a result of this limitation. The charitable deduction is actually a major reward for anyone who likes to give money to charitable causes. For cash donations, the deduction you can take went up ten percent—from 50% to 60%. If you give more of your money away, you can take a larger deduction. This serves an important public policy interest of encouraging charitable giving. Bottom line, the new law has made filing taxes way less cumbersome. This is mainly due to the itemized tax limitations. It’s way easier to take the standard deduction than to go through everything. According to the Tax Foundation, it took Americans, in total, 2.6 billion hours to do their taxes in 2016. This worked out to almost $100 billion each year in the total resources people dedicated to not bumping heads with the IRS. The hours and cost have both decreased, and more statistics will be available in 2019 as to exactly how much easier the new code made things. Knowing what’s coming down the pike is the best way to prepare yourself. Again, you may have already seen some of these changes come your way in 2018. 2019 will likely bring even more tax code changes with it. Whether you’re a fan of the Tax Cuts and Jobs Act or not, it is the law, so you will want to make sure you know your finances and what to expect. Make sure to consult a professional if you have any questions. Seeking a pro’s help will allow you to avoid any scary IRS warning letters or frantic, last-minute digging for receipts. There have been major tax changes recently, particularly with the passage of the Tax Cuts and Jobs Act last December. The gift tax went up from $14,000 to $15,000 per person. While that might not seem like a lot, keep in mind that the tax was stuck at $14K for five years, and $15K is the highest it’s ever been. So, comparatively, it’s a pretty big deal. Don’t forget that the usual gifts are still exempt. These include gifts between spouses, gifts directly made to a health care provider for medical purposes, gifts made for educational reasons to an educational institution, and, of course, gifts to charities. Remember: the gift tax applies to the person giving the gift, not the receiver. A way to make Christmas more permanent and lasting is to update your estate plan to reflect more assets transferred to your family after you die. If you have a plan for your home and valuables and want to make sure that it is carried out, you should definitely include those directions in your estate plan. An estate planner will help you manage your estate in a way that will keep it out of the clutches of probate court. A 529 plan is one of the IRS’s rare, drawback-free gifts to the taxpayer. The 529 form is a savings plan that gives you tax breaks for saving up for your child’s education. 529 forms are also called “qualified tuition plans.” These qualified tuition plans benefit both you and your child. Your child’s college financing will get a head start, while you aren’t saddled with a huge tax bill for saving up. This is an excellent Christmas present that will pay off in the long run. Charitable Tax Deductions Have Increased, Too! As mentioned above, the Tax Cuts and Jobs Act led to tax deductions not just for gifts, but also for charities as well. Before, you could only deduct 50% of a charitable donation on your taxes. Now, you can deduct 60% of the donation from your taxes. This encourages generous donations to your favorite charities. 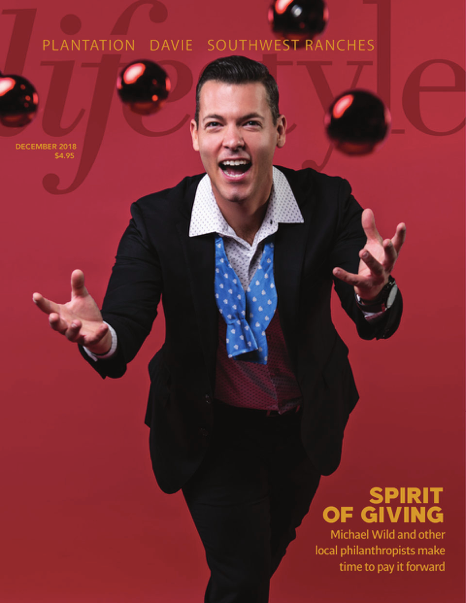 It’s a way to give a holiday present to those in need without including the IRS on your charity list. Going back to the estate plan, a trust (a tri-party fiduciary relationship) is an excellent way to give someone a gift that will stay out of probate court after you pass away. When you set up a trust, you are the donor. You transfer the property you want to give to the beneficiary to a trustee. The trustee then, at your direction, gives the property to the beneficiary. This trust goes into effect immediately. This is a tool for estate planning that can also function as an excellent gift with a lot of longevity for your transferee. Another way you can give gifts to your family is by including new members in your estate plan. Weddings and births happen all the time. Encompassing these new family members into your estate plan ensures that they’ll get part of your estate after you pass on. This is a way to include someone and make them feel like they’re part of the family, all while making good financial sense and keeping your possessions out of the state’s hands after you pass away. As you can see, there’s more you can do to celebrate the season of giving besides the usual Christmas shopping. If you want a permanent way to make sure that any gifts you have are long-lasting, update your estate plan. And don’t forget to take advantage of the tax deductions that have just passed recently. Merry Christmas! Posted by Michael on Nov 26, 2018 in Legal News | Comments Off on November is Nonprofit Awareness Month! Charity is one of the best ways to help others. If you’re strapped for time, you can always donate food or money to the charity of your choice. For every cause, there is a nonprofit organization out there that is willing to help. Philanthropy and charity are two of the ways that you can not only help people in need, but also their families and friends. When illness or poverty strikes one person, it’s not just that individual affected: it affects everyone who is close to them. 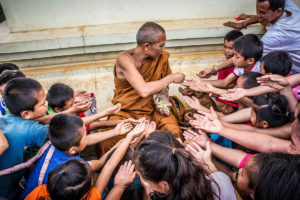 Charity is, in a sense, a way to protect others. But how can you protect your own family in a similar way? You might be wondering how your own assets can tie into nonprofits. Asset protection means that you’re setting aside legal tools and documents concerning what will happen to your assets after you pass on. Perhaps there is something you want to transfer to a family member after you die. By setting up a living trust, you can make that happen. This three-party relationship allows you to hand over nominal title to a trustee until your beneficiary is able to receive your asset. A living trust is not the only way to transfer assets, but it is the best way to avoid probate. The time, expense, and mental exhaustion of caring for an end-of-life relative is very draining. Through estate planning, you can ease that process. Selecting a power of attorney and filling out a healthcare directive will allow you to set up your decisions in preparation of a time period where you’re sick or incapacitated. A power of attorney is the individual you designate to handle your financial decisions, and a healthcare directive tells doctors and hospitals your particular wishes concerning your medical care. Having a clear-cut plan of action will save your family from guessing and stress when it is time for you to start receiving intensive care. As mentioned above, tools such as a living trust help you avoid probate. Probate court is the process by which a judge (called a probate judge) divides up your assets after you die. The court isn’t just for people who die without a will. Even a last will and testament is still subject to probate court. The probate judge pays off creditors first, and then divides up the remaining assets as he or she sees fit. You want to avoid probate court because it is time consuming, expensive, and very stressful. Diligent estate planning can keep you out of probate, something for which your family will thank you. If there’s a charity you love, you might even want to give a gift. Estate planning can help you manage this gift-giving. The gift-giving also applies to relatives and family that you might want to help as well. There are ways around excessive taxation using gift money, and that money also allows you to help someone in need. Gift money is very charitable, and it is definitely in the spirit of Nonprofit Awareness Month. If you think you’d like to take part and give gift money as part of your estate plan, an estate planner can help you do so. Nonprofit Awareness Month brings attention to the many awesome organizations out there that help people in distress. 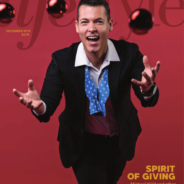 Celebrate this month by giving a little, whether it is extra time, food, clothes, money, or something else. However, don’t forget to also take care of your own family by preparing for what happens if you yourself are sick or injured. Estate planning offers a similar monetary protection as charity. Taking care of your own family is just another way you can celebrate the charitable spirit of November. Posted by Michael on Nov 20, 2018 in Legal News | Comments Off on What Does Thanksgiving Mean to You? When you think of Thanksgiving, you probably think of the fun time you’ll spend with family and friends, the football games, and, of course, all the delicious food you’re going to eat. Whether you’re the one cooking or one of your family members is, Thanksgiving gives you the chance to enjoy what matters most: family, food, and togetherness. With that sense of family also comes all the obligations and responsibilities attached. Providing your family with security and safety is doable if you have an estate plan. 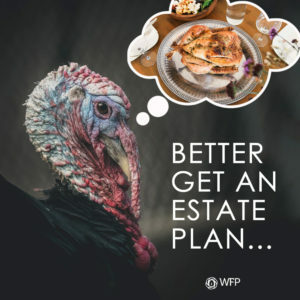 If estate planning is relatively new to you, you can remember the major documents just by looking on your Thanksgiving table. If there’s one thing you don’t want to be, it’s the turkey on Thanksgiving. A turkey has a pretty short life thanks to this holiday, and death comes pretty unexpectedly to the unlucky bird. You can’t always be prepared for everything, and unfortunately, we humans can sometimes meet a sudden, turkey-like ending (minus the holiday dinner part). This is why putting off estate planning is never a good idea. Getting together a living trust, last will, or other documents to give instructions about your assets after you die is essential to ensuring that you’re prepared. You might think that you have time, but you never know that for sure. It’s best not to put it off. Mashed potatoes can seem pretty boring, but they’re one of the most important Thanksgiving side dishes. When prepared correctly, they’re pretty much essential to the meal. This is somewhat like estate planning itself. This field of law can seen boring and dull, but it actually is vitally important. The legal arena wouldn’t be the same without it. Estate planning handles all the posthumous things that would bog down the courts were they left undone. When your estate documents are correctly prepared, they become extremely important, whether they appear boring or not. One day, most of us are also going to be vegetables. That sounds morbid, but it’s just true. There comes a time where most people enter end of life care and aren’t really with it mentally. Decision-making becomes difficult, and even communication struggles. Documents such as a power of attorney and healthcare directive can ensure that your life decisions are handled for you. A power of attorney controls your finances, and a directive tells hospitals and doctors any particulars about your medical care. While it’s no fun to think about and compose—instructions about your own dying are not exactly a thrill a minute—they are important to the process of a smooth transition for your family. Last but not least, there is the pumpkin pie (or any type of dessert, really). This is the extra on top of the meal. There are a lot of documents in estate planning like this. They don’t necessarily make up the meat and potatoes of the meal, but they’re an important addendum. Documents pertaining to niche assets like Bitcoin, antiques, collector’s items, and more are examples of these “extras.” You want to get the big stuff into the estate plan, of course. But, you also don’t want to ignore the smaller, more unique things that are still of great value to you and your family. As you can see, the Thanksgiving table gives you a way that you can remember the major documents in an estate plan. These aren’t all the documents that you’ll need, of course, but they are the main ones, and they give you a sense of what estate planning is all about. Your family deserves a sense of security, and proper planning will provide that. When you’re spending time with them, think about ways you can improve or update plans you have in place already. Have a happy Thanksgiving! The Sixth Annual Miss Arc Broward Pageant is Here! Posted by Michael on Nov 10, 2018 in Legal News | Comments Off on The Sixth Annual Miss Arc Broward Pageant is Here! If you live in Florida, particularly in Broward County, you’ve probably heard of an awesome event called the Sixth Annual Miss Arc Broward Pageant. 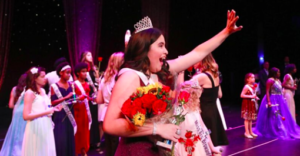 This pageant, presented by the law firm Holland & Knight, empowers girls and women between the ages of six and seventeen who have disabilities. Held at the Parker Playhouse, it gives these young ladies a chance to shine. Excitingly, Michael Wild is sponsoring one of the candidates! Not only should you look into attending the pageant so that you can sit in the audience and cheer on the girls, you can also take this opportunity to think more about your own family. There are different ways that you can support family members and friends who may have disabilities through inclusive, diverse estate planning. Such a cool event needs more than just one little paragraph. The Miss Arc Broward Pageant is an event from Arc Broward. Arc Broward is an organization dedicated to helping people with disabilities. This nonprofit organization has been around since 1956, and the pageant is a relatively recent idea. Arc Broward has ten different locations and provides Broward County with twenty-one programs to help disabled citizens learn life skills. These programs aren’t just great for the more vulnerable parts of the population; they’re great for the community at large. The pageant itself celebrates the young women who take part in Arc Broward’s programs, because women’s empowerment is for everyone, disabled or not. Disabilities are common throughout the world. Everyone is differently-abled in some way or another. According to the U.S. Census Bureau, one in five Americans has a disability, whether physical or psychological. Disabled people have an income that is almost half of what a non-disabled person has. Clearly, disabled people need our help, both as a society and, on a smaller scale, as a family. If you have disabled family members, consider ways to work them into your estate plan and provide at least some security for their needs, whether through asset transferring, gifts, setting aside a fund, or something else. There are many, many different ways besides just those to make your estate plan inclusive towards your disabled loved ones. Perhaps the disabled individual is someone in your actual nuclear family. You want to make sure that you consider all the facets of their care. This includes finding them a power of attorney for their finances and medical decisions. If something were to happen that would incapacitate them, having a power of attorney means that the financial and medical decisions would be taken care of by someone they trust. 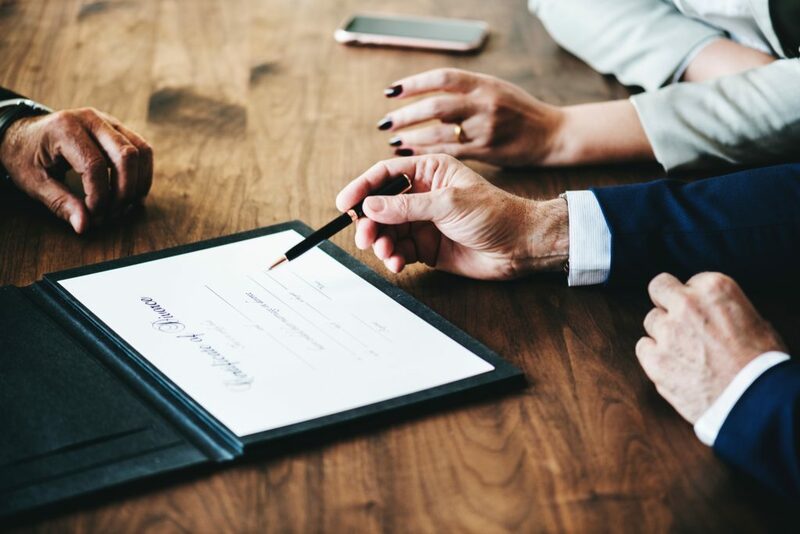 A power of attorney takes important decision-making power and places it into the hands of a trustworthy individual with which the person is comfortable. If the disabled members of your family are your children, guardianship takes on an even more enhanced role. In the event that something happens to you, selecting a guardian has a special importance. Choose someone who has experience working with the particular disability that your child has. The guardian should agree to the guardianship, as that is a big responsibility and you want to make sure they are on board. Don’t forget to make sure that your child is okay with the person and likes them, also. As you can see, the upcoming Miss Arc Broward Pageant is going to be a lot of fun! We’re excited to sponsor one of the contestants. On a less public forum, feel free to schedule an estate planning appointment to talk about how you can take care of family or friends you may have who have disabilities. Estate planning is great at providing a unique type of future security for those close to you. Football season is the most exciting sports season (to some, that is). Football is a fall American tradition, and the weekends are a great time to tailgate or just stay at home on the couch, eat snacks, and watch the game. Everyone has a favorite team, and, if you’re a fan, you probably know all the stats about your team, including the chances of winning, names of your favorite players, and, if your team isn’t that good, how they need to improve—in your opinion. Post-game talk show analysts pore over the game after it’s done, figuring out what went wrong and what went right. You need to know the game to play the game, and that doesn’t just apply to football. 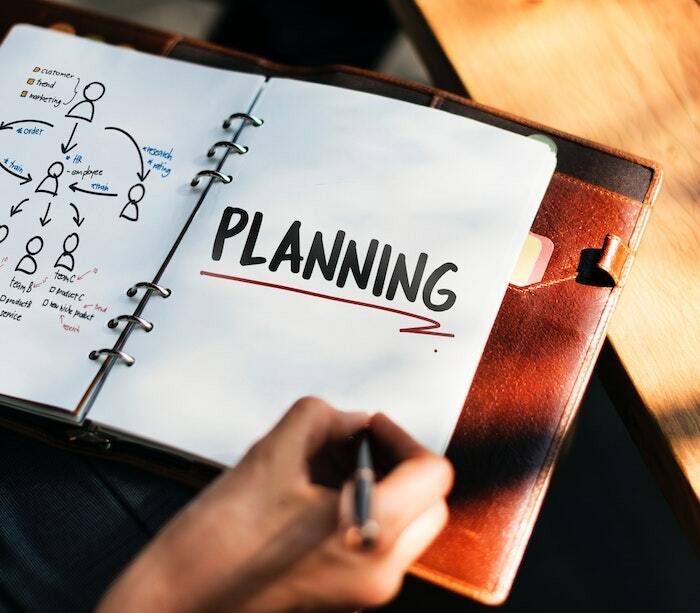 Understanding how to plan for your future is of the utmost importance, and, by consulting with an estate planner, you can ensure that you’re totally prepared for anything. While your favorite team might not be able to ensure a win, you can if you plan thoroughly. In football, the offensive line’s job is to cover the quarterback and make sure nobody sacks him. 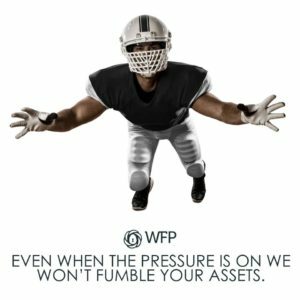 Much in the same way that the O-Line covers the quarterback, your estate plan will cover you and prevent you and your family from a lot of headaches down the road. Your estate plan will protect your family in particular from probate court, which is a time consuming, expensive process that usually leaves everyone pretty unhappy with the way in which the assets are divided. Judges don’t know your family and what you want, so give your family some cover from probate and create an estate plan with the right tools to avoid it. Who is estate planning for? Estate planning is for everyone! Even minors benefit from estate planning through third-party means, as parents often designate guardians for their minor children in the event that something happens to them. College-age kids benefit from estate planning because they are able to designate their parent as power of attorney and lay out any healthcare directives they may have for their medical care. And, of course, older adults benefit from estate planning because it provides a way to make sure your assets are divided the way you want them to be after you pass on. While the documents may differ from person to person, and the benefits may not be the same from person to person, estate planning is still a tool for everyone. Much like how a successful football team has tons of different plays, you should have a lot of tools in your estate planning toolkit. There are documents for just about anything, including assets, your family, guardianship, your medical decisions, and more. Provide coverage for the various areas of your life and livelihood by securing each in the event of your incapacitation or death. Don’t forget to update and review your estate planning materials every three to five years. Families change. There are marriages, new babies, divorces, deaths, and more that may change your estate plan and give you a new person to add in or someone to take out. You could have all the estate planning safeguards in the world, but if you don’t have it updated to reflect your current family situation, you won’t be happy with the results. A successful estate planning playbook ensures a win for you, and an estate planning consultation is a great way to prepare for the future. To win the game, you have to know the game, and the different tools that estate planning provides will help you secure your future and your family’s future. October is Breast Cancer Awareness Month! Bringing attention to this disease is crucial, as it affects millions of women. One in eight women will develop an invasive form of breast cancer at some point in their lives, and a smaller percentage (though still significant) will experience non-invasive breast cancer. This disease affects not just women, but men as well, and the families and friends of those suffering. One of the most important things to do during such a tough time is to keep stress low and focus on your health. A way to do that is to plan for the future. Psychological research indicates that when you’re stressed or anxious, planning is more difficult. The ability to plan things out is disrupted by the parts of your brain experiencing the stress. The future can seem daunting. However, there is a way to put things in motion now that will greatly ease your mind: estate planning. In order to protect your family, you will want to keep them out of probate court. Your kids and grandkids will not want to go through the experience of probate court, which is time consuming and stressful. Probate court is the process by which a judge divides up your assets after you pass away, focusing first on repaying your creditors and then giving what’s left to your loved ones. Rarely does probate actually divide things up the exact way you would have wanted. In order to protect your family from this arduous process, estate planning tools such as a living trust (a three-party relationship where you transfer title to a trustee who holds it for your beneficiary) and others are available. If you have kids, you should definitely consider arranging a guardianship plan for them, just in case. Everyone should have this, whether they’re sick or healthy, as it never hurts to be prepared. Guardianship papers designate a guardian for your kids in the event you are unable to care for them. Choose a guardian for your kids who you feel will take care of their physical and emotional needs while providing a structured day-to-day lifestyle. This intensely personal decision is totally up to you, and you should, of course, think it through carefully and talk to your proposed guardian before executing the papers. A power of attorney is an individual that you trust to make financial or healthcare decisions for you in the event that you cannot make them yourself. This person ensures that your wishes are carried out, and he or she makes sure you’re treated well and not taken advantage of. The power of attorney for finances takes care of your financial decisions while you’re incapacitated, whether it’s deciding what to do with your house, how to pay for medical care, how to pay for your kids’ school, or anything else. The power of attorney for healthcare is also a decision-maker, just with regards to medical decisions. Healthcare directives allow you to tell the hospital what you want ahead of time. You can lay out your specific wishes for doctors and nurses to follow. That way, you get the medical care you need even when you’re unable to communicate. These directives are something you can make while you’re with it and feeling well, which means that they will reflect major decisions that are made when completely aware. With estate planning, there are a lot of tools that will help you prepare for the future and whatever it might entail. You don’t have to feel anxious and nervous about where your assets will go if something happens, and this is a good, productive way to ease the stress that you’re carrying so that you can focus on your health.